Now that I’m older I don’t eat as much fast food as I did during my younger years. The thought of eating a fast food burger, sandwich or taco doesn’t thrill me as much as it used to back in the day. But the one meal my husband and I love to get when we’re in a fast food kind of mood is a burrito bowl from Chipotle. For those of you who don’t live here in the US, Chipotle Mexican Grill is a fast food burrito and taco joint. That’s the best way I can describe it. You pick your rice, white or brown. Your beans, black or pinto. Your meat, which varies from chicken to beef, pork and even tofu. And your toppings which range from three different types of salsas, sour cream, cheese and guacamole. Every time we ate it, I would always say “I can totally make this at home. I just KNOW IT!”, and my husband would always say “Go for it!” And so, I did. 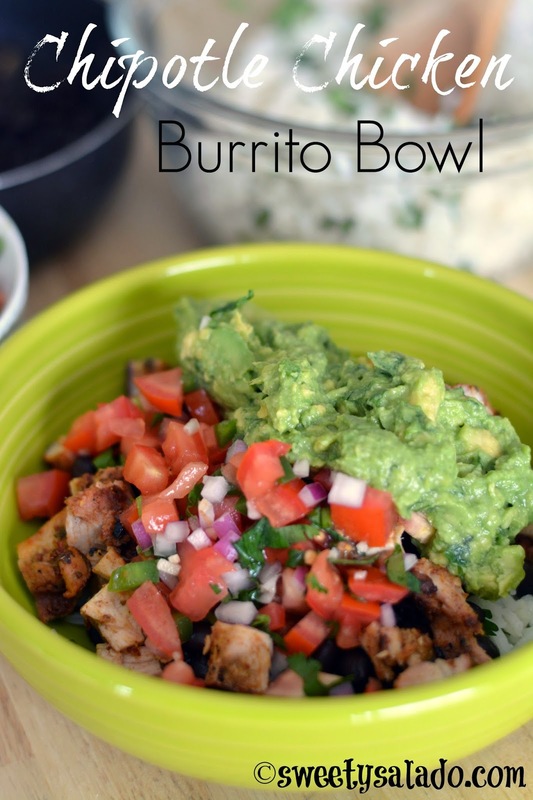 I won’t even try to be modest about it and proudly say that my Chipotle chicken burrito bowl copycat recipe is pretty close to the real thing. And that’s no lie. So tell me, have you ever tried a burrito from Chipotle Mexican Grill? And if so, what are your favorite ingredients? Oh! And as a side note, no, this is not a paid advertisement for Chipotle. I just love their food so much that I had to write a blog post about it. In a food processor, blend the chipotle peppers, garlic, onion powder, dried oregano, oil, lime juice, salt and pepper to taste. Add water if you think it's too thick. Place chicken in a resealable bag and add the marinade. Close the bag and massage the chicken to make sure it is well coated. Store in the fridge for at least 2-4 hours. Grill the chicken on medium high heat for 6-7 minutes per side on until it's no longer pink. You can also use a grill pan on the stove top if you don't have a grill. Let the chicken rest for about 5 minutes and then chop into bite sized pieces. Drain and rinse the beans and warm them up on medium heat. If you want, you can add some chicken stock and season with salt, pepper and cumin to taste. 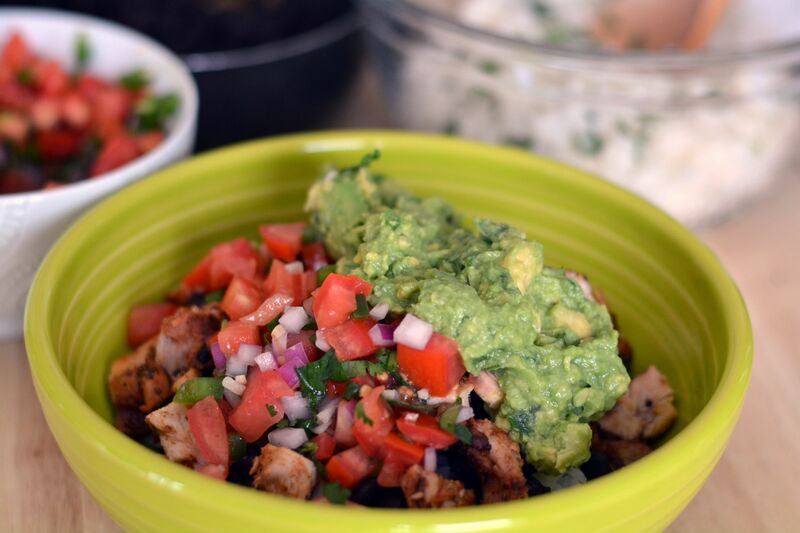 To assemble, serve equal portions of rice, beans, chicken, pico de gallo and guacamole in each bowl. You can also add sour cream, shredded cheese and lettuce.